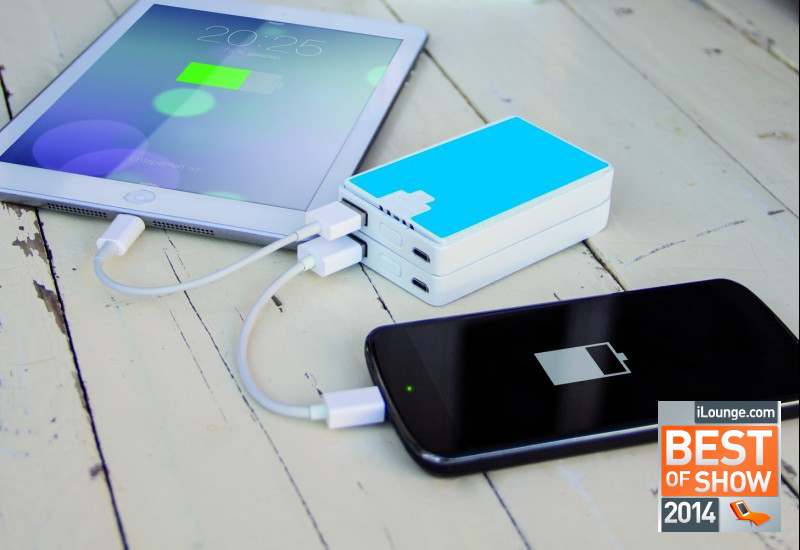 IDAPT, a Barcelona-based company has made a very innovative portable charger called Modulo. 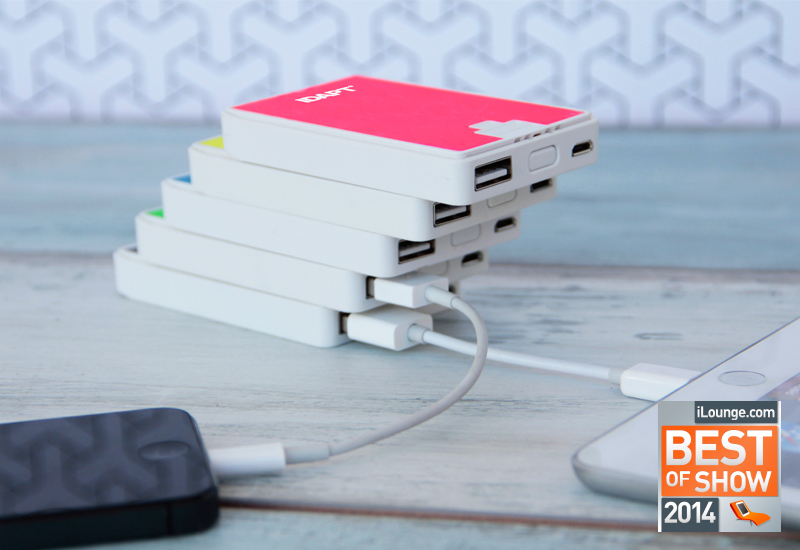 It is a small card-sized portable charger available in lots of bright colors. Don’t underestimate the power and functionality of the Modulo simply because of its size and friendly looks. 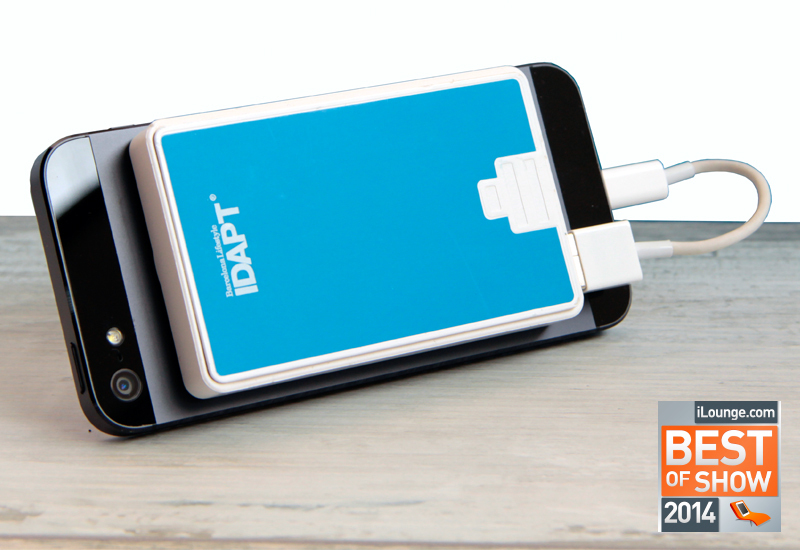 The brightly colored IDAPT product is a light 2.4 ounce portable charger that can easily communicate with its other Modulo friends. On its own though, the Modulo is already a small, handy portable charger to have around. It also has an LED status bar indicating the Modulo’s battery level. It packs a 2100mAh power bank with an output of 5 volts and 1.1 amps. Unlike all the other portable chargers though, its capacity and output speed can increase by just putting together another Modulo portable charger to it. By simply stacking and connecting another Modulo on top, the capacity and output will be added to one another. For example, having connected 2 Modulos will give you 4200mAh with 2.2 amps, doubling the charging speed, fast enough to charge a tablet. You can combing five Modulo portable chargers together for a maxed out capacity of 10500mAh, the maximum output though is 2.2 amps for each port. IDAPT also placed unique adhesive strips on the bottom of the device, letting it securely stick to the back of your smartphone without leaving any residue. This makes it easier for you to charge your smartphone on-the-go since the Modulo will always be right on the device without it hanging on to the cord. The plans of IDAPT for the Modulo is to make it modular, such as having different accessories to attach to the Modulo. Such as having a Qi wireless charging accessory to wirelessly charge Qi-enabled smartphones and tablets. The Modulo’s price will be $109.99, listed on the IDAPT’s website. You can also check out IDAPT’s other products such as the IDAPT Wireless Charger i4w Qi and many others.